﻿ Why Bother with Psychometric Prep? 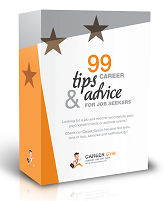 Home Tips & Tricks Why Bother with Psychometric Prep? 26 Sep 2011 Print Why Bother with Psychometric Prep? Why Bother with Psychometric Prep? There are many things you will learn while preparing for assessment tests: reasoning, mathematics, applied knowledge, writing skills, and more. While assimilating this information for the exam you are also enhancing you employability in the long run. During your psychometric test preparation you will spend a lot of time browsing through websites to gather test materials and find practice exams, as well as searching for tips and tricks. Not only will you learn a ton during your prep, you will also be improving your research skills online and off, something that is highly valued by employers. All the practicing and testing has an additional advantage; it makes you smarter! You can use your advanced verbal or numerical reasoning and mathematical skills and apply them to nearly any situation. Not only will you have improved self-confidence, but you will also do better on job tests in the future. Choosing to prepare for aptitude tests will mean adding a few more tasks to an already hectic schedule. Preparing for these types of tests involves intense study, practice, and review – meaning you have to make time and manage it. All this cramming will help you become a better manager of time, personally and professionally. Practicing and writing the essay portion of the test improves your drafting and writing skills – something that comes in handy nearly every day. It is also a good idea to prepare some sample essays before the test in order to memorise their major points and help to further enhance your ability to write clearly. All this practice will help achieve good marks on your test, but more importantly will help you become a better communicator. All the multiple choice and written tests are merely a precursor to your job interview. Assuming you come out near the top of the candidate group, therefore you can expect to be called in to sit down for an interview. While you may also want to brush up with a test interview, merely practicing for psychometric tests will help to boost your confidence – something that will help you appear more polished and professional when meeting with employers. Questions? Comments? Try our FREE online practice tests today!